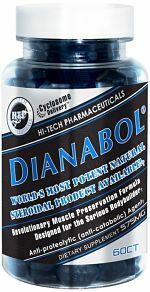 Hi-Tech Pharmaceuticals Dianabol 575 mg. - 90 tablets: Dianabol has a remarkable ability to increase muscle and strength through anti-proteolytic means, the science and practice suggests it may be important to the overall quality of the muscle growth than direct anabolic, protein synthesis activity. The new King of bodybuilding supplementation is no longer a drug. 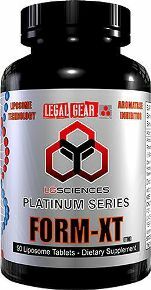 This is a powerful combination of precision herbal extracts that a multifaceted approach to building muscle and losing fat through an even wider range of metabolic pathways than its predecessor. And because these pathways are not hormonal mechanisms through which yield permanent gains in muscle and strength. Dianabol is the latest development from the research team and DevelopmentDianabol of Hi-Tech Pharmaceuticals, Inc., and is one of the five products in the Hi-Tech Muscle and Strength line of anabolic nutraceuticals, which also Estrogenex, Metanabol, Somatophen and Anavar. While all five products act in synergy to create a highly anabolic and anti-proteolytic growth environment, Dianabol is the core protein-sparing driver, which means that Dianabol primary role in the team that acquired muscle protein in the muscles. 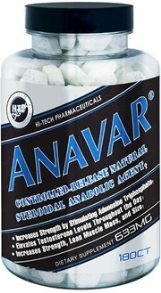 To help Dianabol, a general state of anabolism in times when normal protein breakdown, as in times of physical and mental stress, intense training, caloric restriction and when weight training is infrequent. In other words, if your body is usually muscle protein degradation to amino acids for diversion to other areas of the body, Dianabol inhibits or blocks the breakdown signals and keeps your hard earned muscle intact. With the assistance of Pharmatech, Ltd. (a Belize-related research and development company), the active compounds in Belize Man Vine were isolated. The active ingredients are phenylethanoid glycosides, the amazing anti-catabolic, anti-inflammatory and relaxing properties. Dianabol contains a highly concentrated amount of these phenylethanoid glycosides, brings dramatic results. In a study by Pharmatech among three groups of male subjects with a weight training, two groups that were previously Belize Man Vine extract gained 7.8 lb and 6.3 lb or more muscle mass than the placebo group over a period eight weeks. The benefits reported universally for all test subjects, are increased muscle mass, better and higher strength. What is of particular interest is that the group won 6 / 3 more pounds of muscle has a diet consisting of 50% of calories and protein than the group that gained 7.8 lb, clearly, the anti-proteolytic action of extract. It is also likely that the glycosides phenylethanoid have an inhibitory effect on the inflammatory response from training and hence increased recovery and enhanced nitric oxide production (from histamine inhibition) may be contributory factors to the acquired muscle gains. Dianabol does not end with Belize Man Vine in its formulation to live up to its name and reputation there are many other ingredients to work. 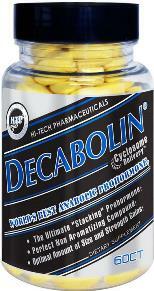 Dianabolmechanisms by Dianabol also known as anabolic agents, thereby protein synthesis and nitrogen retention. These constituents have adaptogenic properties, as well, so that the body to adapt to the work and combat fatigue. This leads to skeletal muscle growth and notable strength alsoincreases. The anti-catabolic/adaptogenic properties of Dianabol have an important effect on the normalization of all body functions. This leads to improved sleep, physical and mental state and helps prevent overtraining. Dianabol further additional measures such as the normalization refers to the synthesis of RNA during stress, which also allows the body to avoid catabolic states. This effect allows the body to perform at a much higher level and again after strenuous training. Dianabol also works in conjunction with your body's own mechanisms of insulin by stimulating the production of insulin (creating a temporary anabolic state), which protein breakdown (better utilization of the protein), increasing storage of glycogen in the muscles and also has beencell the free fatty acid oxidation. Dianabol shown to significantly increase insulin growth factor (IGF), a highly anabolic hormone produced in the liver and other tissues.